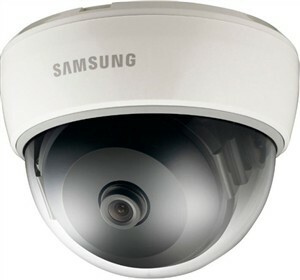 The Samsung SND-5011 is a low profile ONVIF compliant, 1.3 Megapixel High Definition network camera great fit for applications which require high resolution video. A minimum illumination of 1.6Lux makes the camera suitable for nighttime surveillance. It features Samsung Super Dynamic Range that balances the overall brightness by illuminating the darker areas to the same ratio as the bright areas. The Samsung SND-5011 has many exciting features for users of all types. The Samsung SND-5011 is sold as a Brand New Unopened Item.